Trifocal eyeglasses contain lenses with three separate regions. One lens corrects for each range of distance from distance vision, intermediate vision (about 18 to 24 inches away), and near vision (approximately 16 inches away). These lenses have been used since 1827 when they were first invented by John Isaac Hawkins. These glasses are similar in function to bifocals, which have two separate sections. Modern eyeglasses can have segments of various shapes and sizes, which make them better suited for the individual wearer. The flat-top trifocal lens and executive trifocal lens designs are among the most common with the former providing the largest lens for distance viewing. The top line of the intermediate segment in both designs rests near the center of the eye with the distance segment situated toward the top of the lens, but the width of the other segments differs. Because you can see the lines in trifocal lenses (and also bifocals), some patients prefer progressive lenses, which don't show those lines. Anti-glare coating is recommended to provide better vision in conditions where there is low light. This coating also eliminates reflections from those lines, which can be distracting. Correct fitting is important to ensure you're looking through the lenses from the correct direction. This position differs between bifocals and trifocals. Trifocal wearers should remember to look down when they need to see their feet and the ground that they're walking on because the lenses can make the ground appear blurry. Who are Trifocal Glasses for? 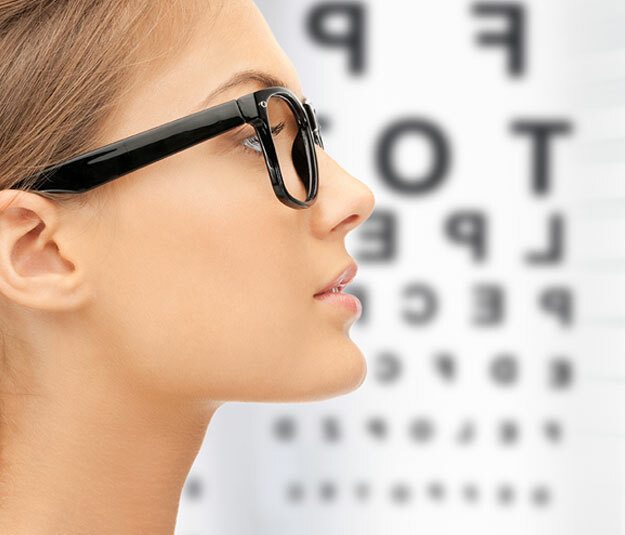 Your eye doctor will most likely prescribe trifocals if you have a condition known as presbyopia, which occurs with age and makes it difficult to focus on close objects such as labels on medicine bottles. These glasses may also be useful if you spend a lot of time looking at a computer screen as they provide a wider angle of viewing than progressive lenses. Some special types of trifocals exist. These include the Double-D trifocals, which places the intermediate segment near the top of the lens with the near segment mirrored toward the bottom, and E-D trifocals where the near segment of the lens is surrounded by the intermediate segment. The former glasses are typically worn by auto mechanics while the latter are best for people who require simultaneous distance and near viewing. Neither of these designs are intended for general use. Whether you wear trifocals or not, regular eye exams are important. Lewis County Eye & Vision is ready to help residents in Chehalis, WA. Call (360) 748-9228 for more information.